If you’ve ever visited an MMJ Doctor through our telehealth application mdberry.com, you know that our facilities and our MMJ Doctors are 100 percent legitimate. However, we’d like to inform the public of fraudulent medical marijuana clinic that sounds like MMJ Doctor and our competitor, 420EvaluationsOnline. In fact, they even took our names and added “online” to the end as an attempt to fool people. about the MMJDoctorOnline.com and 420EvaluationsOnline.com scam. 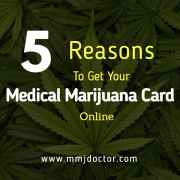 MMJDoctorOnline and 420EvaluationsOnline claim to provide consultations with a state-licensed medical marijuana doctor, but we have learned that they may be providing fake medical marijuana recommendations and issuing fake medical marijuana cards. How do we know MMJDoctorOnline and 420EvaluationsOnline are fraudulent marijuana clinics? Like any legitimate medical marijuana facility online, we must abide by certain rules and regulations according to each state that offer telehealth. For example, our medical doctors must be licensed by the state, they must have a physical location, and they must physically consult with every patient seeking a medical marijuana recommendation and medical marijuana card. For several months, we have heard reports of a fake mmj clinic from patients who were scammed and even our competitors. Still, the only way for us to learn if MMJDoctorOnline and 420EvaluationsOnline were providing fake medical marijuana cards was to find out for ourselves. So here’s what we learned. 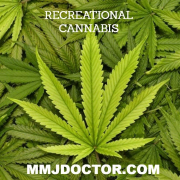 Although MMJDoctorOnline and 420EvaluationsOnline appear to be official on the surface, there are several problems with their service that helped us identify that they are a fake mmj clinic. As we began the process, we had to create an account and choose from a list of states that offer a medical marijuana card. This was the first red flag. 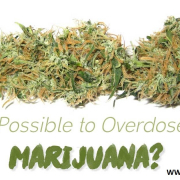 Although many of the states offer medical marijuana, each doctor is specific to each state and cannot recommend medical marijuana to a patient who is out of state. Obviously, we chose California. After a quick verification process via text, we moved on to the next screen, which was to select a pricing package. Keep in mind that we had not provided any medical information before they asked us to choose a pricing package, which is odd. In the next steps, the MMJ Doctor Online scam website asked for our driver’s license number, which is acceptable to verify age. After they verified our age, they asked us to enter our medical history. The medical history form was short and didn’t ask for family history or provide an option for “Other Conditions.” This option must be there. This was the next red flag. 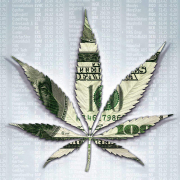 According to the California Department of Public Health, a person may receive a medical marijuana recommendation if their health would “benefit from the use of marijuana in the treatment of cancer, anorexia, AIDS, chronic pain, spasticity, glaucoma, arthritis, migraine, or any other illness for which marijuana provides relief” (archive.cdph.ca.gov, 2017). Notice how the wording identifies any other illness? So far, we have spotted two red flags in the initial process. Another red flag came when they asked us if we wanted to change the date on our recommendation. 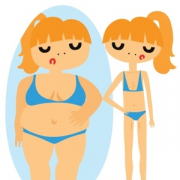 According to State Bill 420, specifically, California Health and Safety Code 11362.745, “An identification card shall be valid for a period of one year,” which is subject to approval by they county (leginfo.ca.gov, 2003). Basically, the medical marijuana recommendation must be issued on the same date a patient meets with the doctor. Otherwise, it’s invalid. Finally, it came time to pay them for the approval of the recommendation. There was one problem, we had not spoken with a doctor or even seen one face-to-face though video conferencing. After our payment was processed, we waited for roughly 15-20 minutes for the information to be approved. Boom! We were approved without question. Again, we had not spoken with the doctor. This was the biggest red flag we had observed to this point. A patient must consult with a doctor face-to-face, even if it is online. This is the purpose of telehealth. According to the Health Resources and Services Administration (HRSA) of the US Department of Health and Human Services, “Telehealth is especially critical in rural and other remote areas that lack sufficient health care services, including specialty care” (hrsa.gov, 2015). We received an electronic copy of a fake medical marijuana recommendation immediately. It even had a fake doctors signature. (We say fake doctors signature because there was no way of verifying there was actually a doctor.) After about a week, we received a hard copy of the face medical marijuana recommendation and a fake medical marijuana card. We went through the same process on their other scam website, 420evaluationsonline. At this point, we were convinced of the MMJDoctorOnline and 420EvaluationsOnline scam. 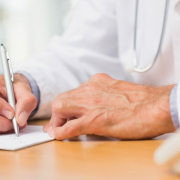 Through our investigation, we learned that MMJDoctorOnline and 420EvaluationsOnline do not connect patients with a doctor who will consult with them. We also learned that the return address on the envelopes they send patients is a fake address in Los Angeles. This was pretty easy to figure out. Sure, it’s easy to look on Google Maps and see if there is a facility there, but it doesn’t confirm whether or not there is an actual mmj clinic. For that, we had to physically go there. Sure enough, the address was fake and there was no mmj clinic. 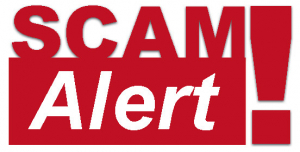 If you’ve been scammed by either of these websites, MMJDoctorOnline and 420EvaluationsOnline, and are walking around with fake medical marijuana card or fake medical marijuana recommendation, you may putting yourself at risk. Since the documentation you have is fake, you could be subject to ticketing or even jail time. What’s even worse is that MMJDoctorOnline and 420EvaluationsOnline have your social security number, driver’s license number, and credit card number, you could very well be a victim of identity theft. What is to stop these scam websites from selling your information? That’s right: Nothing! There is nothing worse than being scammed, and we sympathize with you. Fortunately, we can provide a solution and help you stay out of trouble. 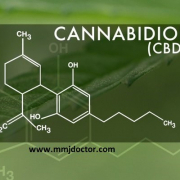 Visit MdBerry.com or mmjdoctor.com and schedule an appointment with the MMJ doctor near you.